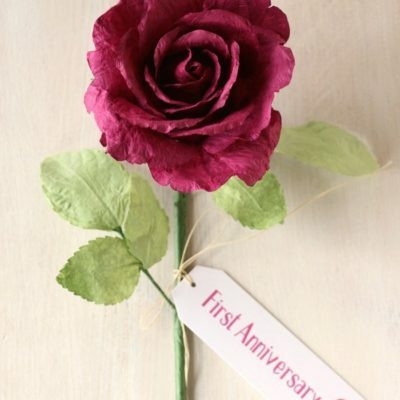 A perfect 1st anniversary paper gift for the first wedding anniversary, traditionally represented by paper. 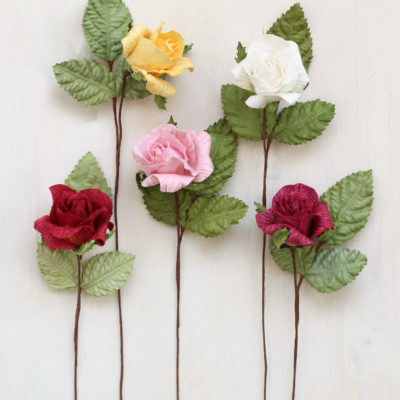 Available in pale pink, dark pink, red, ivory/white or yellow and measures approximately 25cm in height. 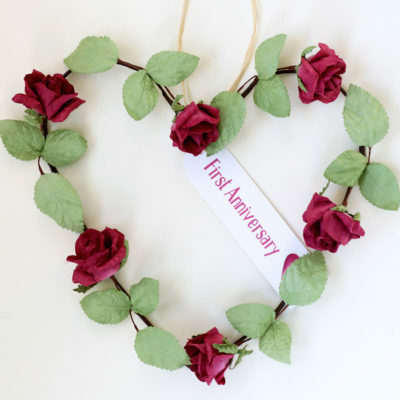 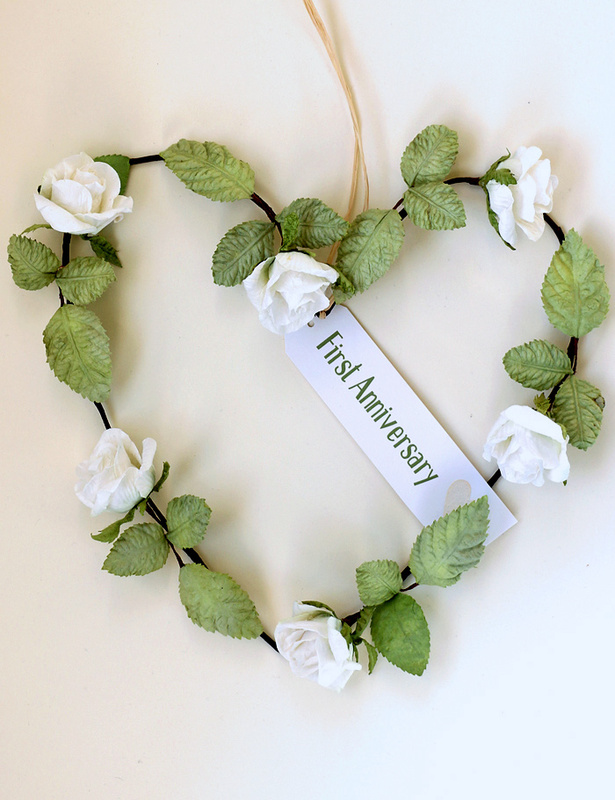 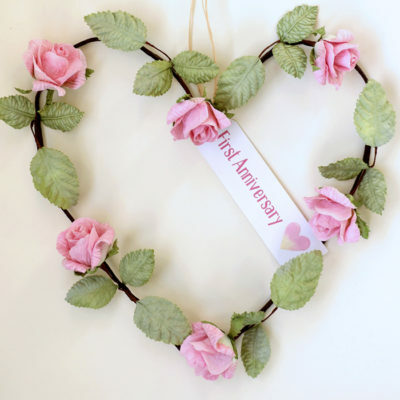 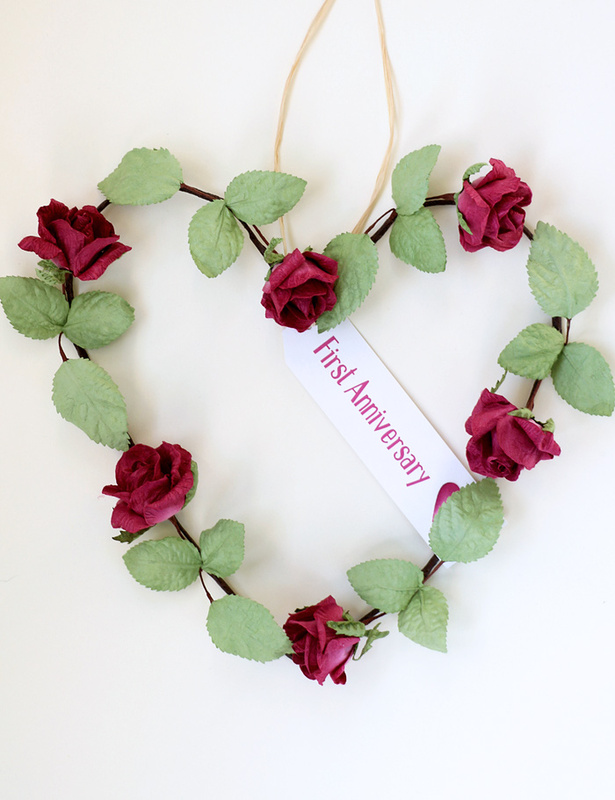 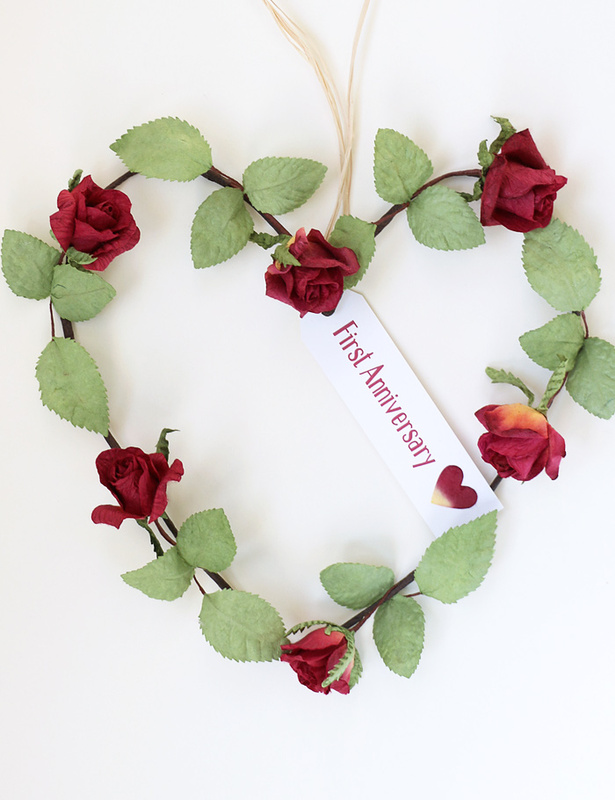 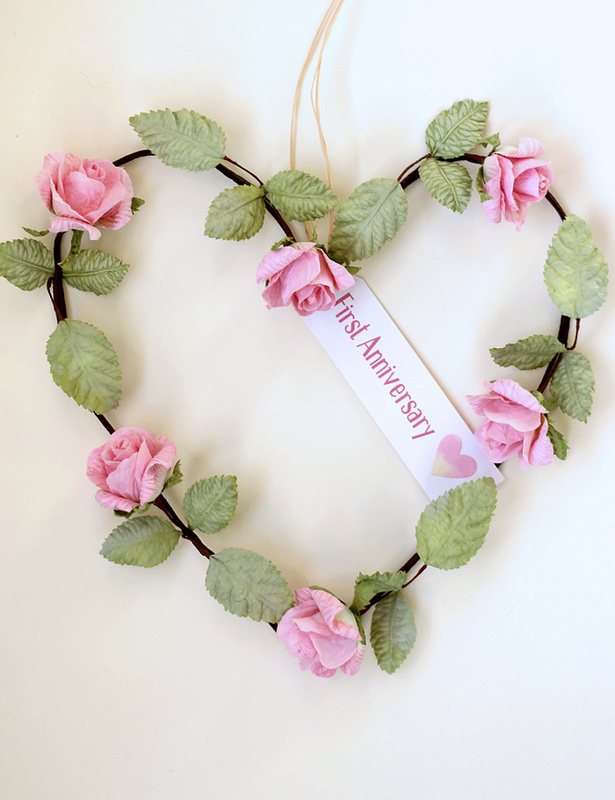 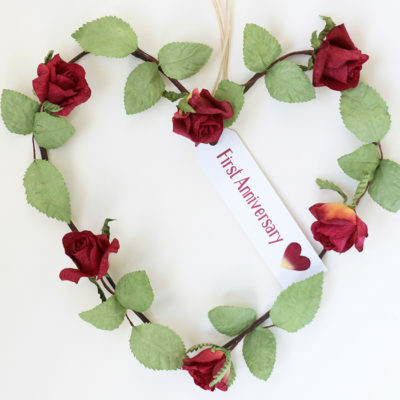 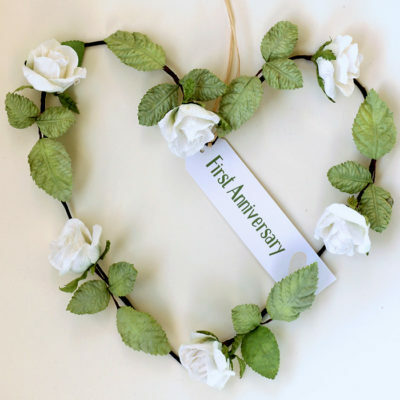 Please select if you would like a gift tag reading ‘First Anniversary’ or personalised with your own message. 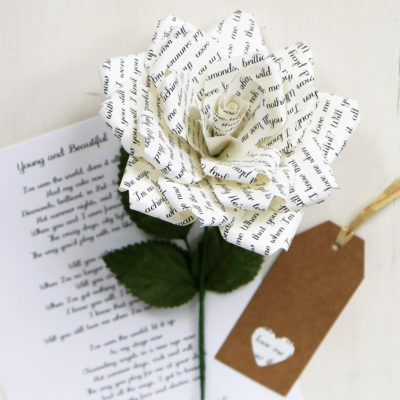 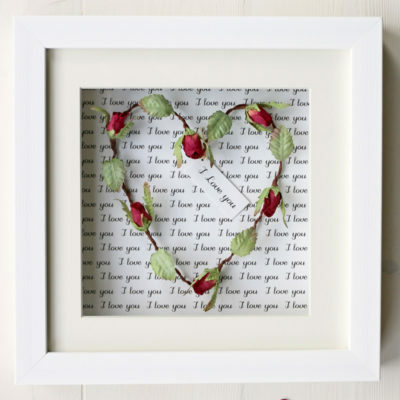 The rose heart is beautifully handcrafted from eco-friendly paper. 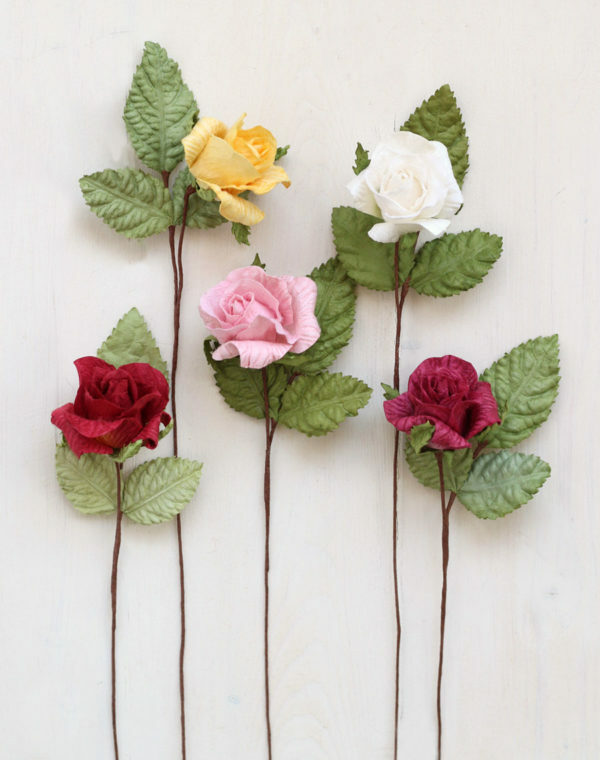 Available in pale pink, dark pink, red, ivory/white or yellow and measures approximately 25cm in height. 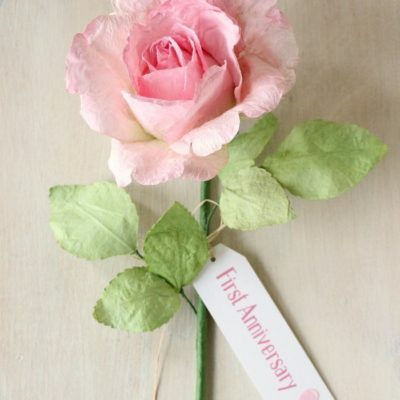 Featured in ‘YOU & YOUR WEDDING’, ‘WEDDING IDEAS’ & ‘COSMO BRIDE’.